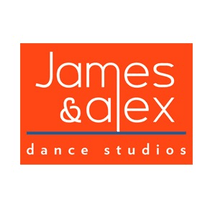 James & Alex Dance Studios offer many dance styles for all age groups and have dedicated classes for adults and children in all forms of dance. Adult dance classes are available in ballet, contemporary, salsa, bachata, kizomba, street dance, hip hop, aerial yoga,flow yoga, fit yoga and Zumba and kids’ classes in ballet, contemporary and hip hop. The venue is home to several leading dance companies and dance instructors based in Dubai, including kids’ musical theatre program Hayley’s Comet and a host of others offering various forms of dance taught at the highest levels. Several of the instructors teaching out of the studios have international experience and are regularly invited to perform and teach throughout Europe and Asia. So if you are looking to take dance classes with some of the best instructors Dubai has to offer, then contact James & Alex Dance Studios today and book your first class.